It's a payday weekend and when it's payday weekend, we go shopping!!! 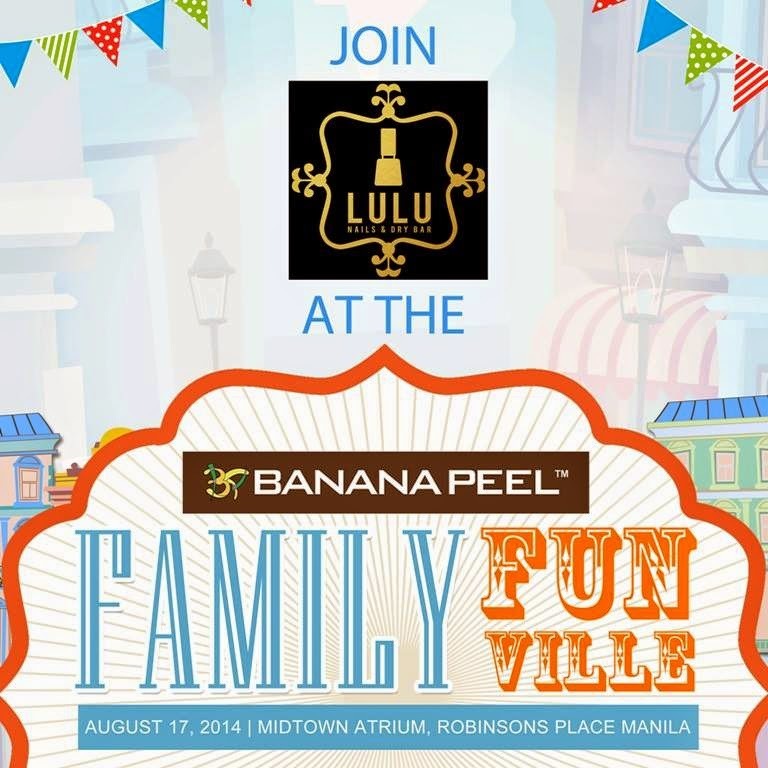 There's two shopping and one family event happening this weeekend. 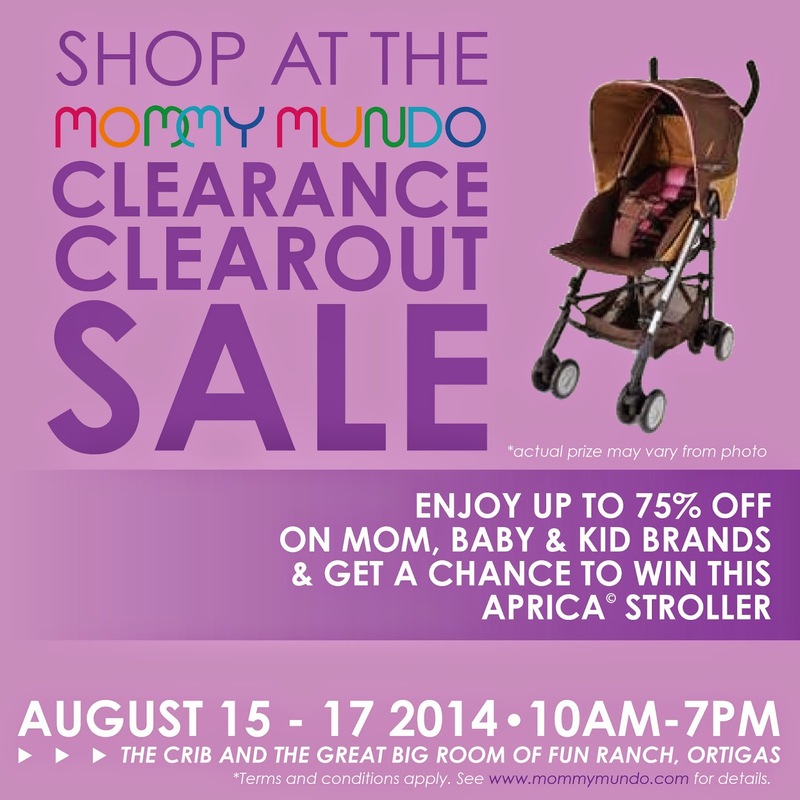 First, it's Mommy Mundo Clearance Clear Out Sale (August 15-17, 10AM to 7PM) Who doesn't love sales? 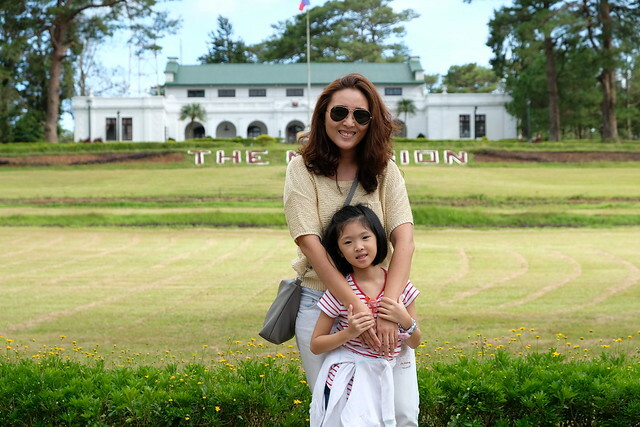 You can even do your early Christmas shopping na! Shop for your favorite brands up to 75% off! I wanna go but I'm not sure if I have time huhu! This is happening at The Crib and Thr Great Big Room of Fun Ranch, Ortigas! All credit cards will be accepted at the sale! Oh and they're giving way a brand new Aprica stroller to shoppers! Check this link to learn on how to join and win! 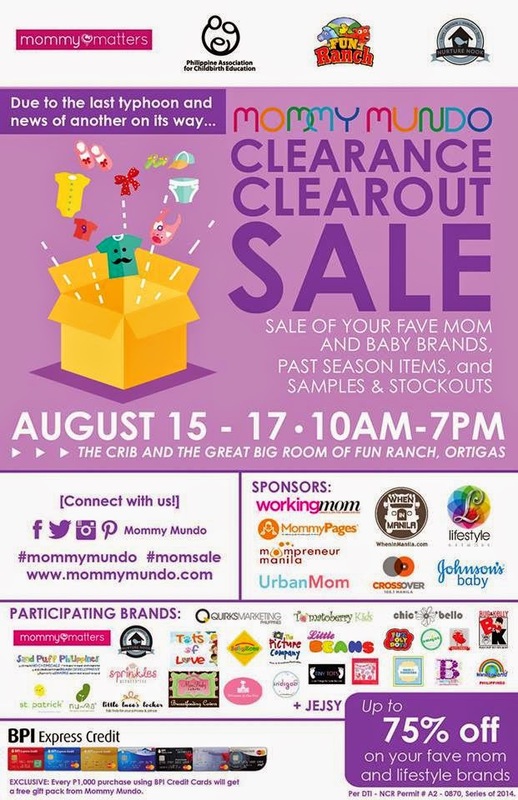 And after shopping at Mommy Mundo Clearance Clear Out Sale, drop by the Babypalooza Bazaar (August 16-17, 10AM to 7PM) at the Walter Hogan Conference Center in Ateneo de Manila, Quezon City. 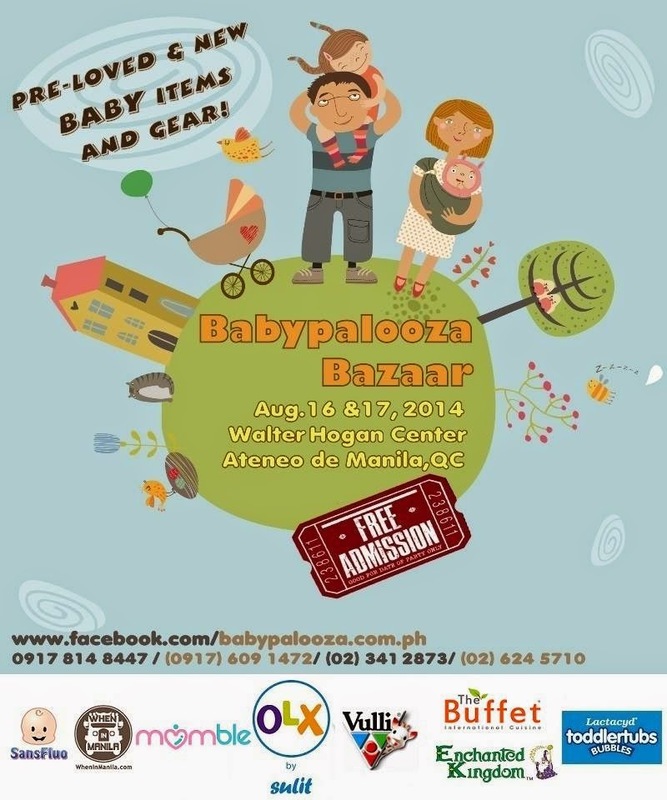 Here you can shop for both brand new and pre-loved items from toys, baby gears and more! 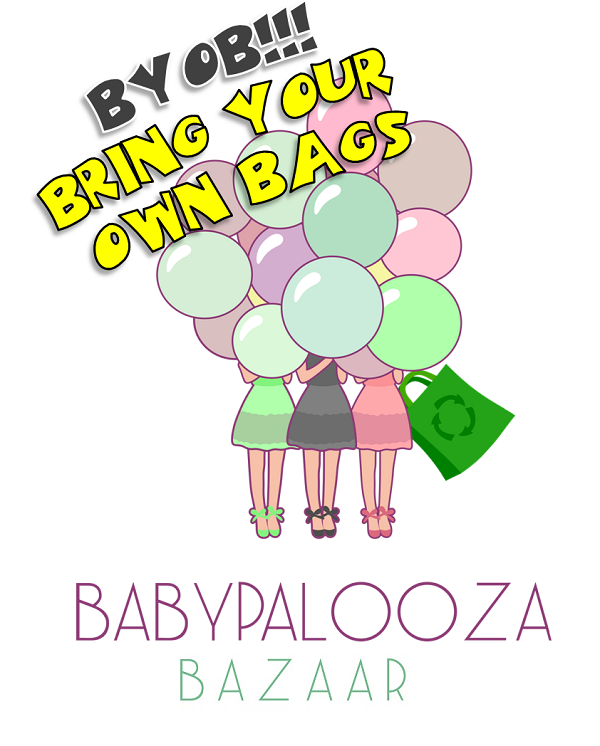 I wanna go and check out the pre-loved items like a car seat for R. I'm sure there will be a lot of good deals! 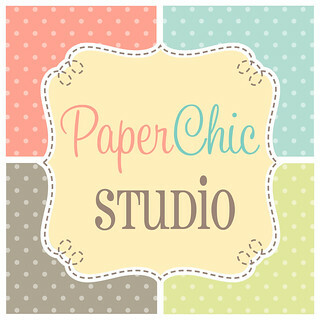 Shop na! And remember to bring your own bag! 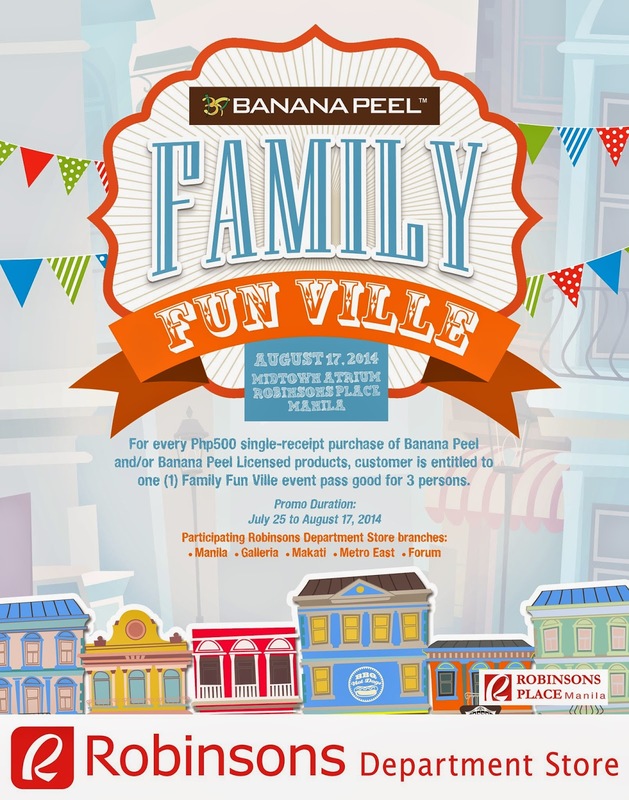 And last but not the least, drop by the Banana Peel Family Fun Ville this Sunday (12NN to 6PM) at the Midtown Atrium, Robinson's Place Manila! This a fun-filled event for the whole family! 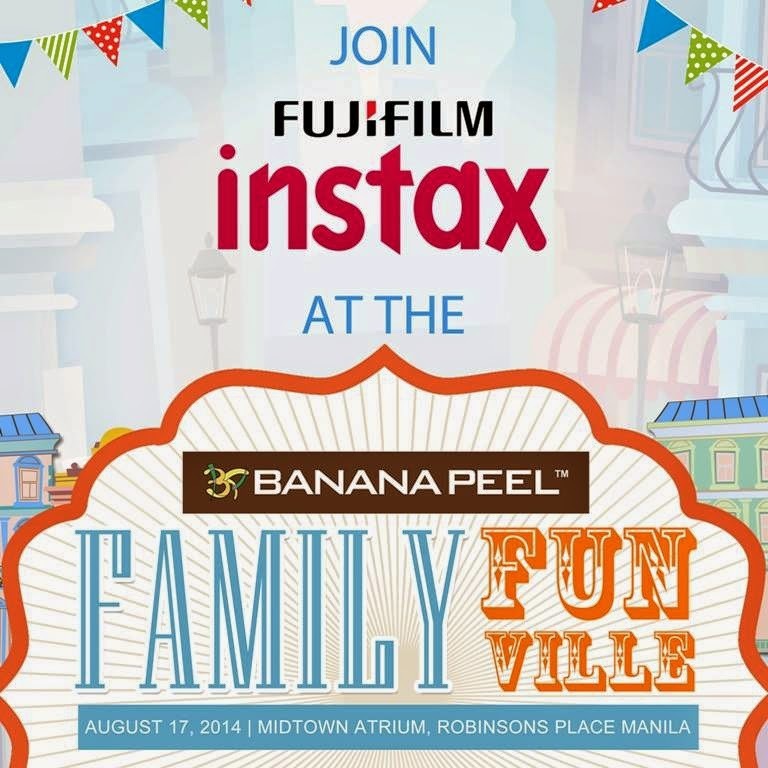 Just purchase Php500 worth of Banana Peel Flip-Flops from participating Robinson's Department Store branches and get a pass good for 3! And here's just some of things you can enjoy at the event! Snap fun memories during the event! 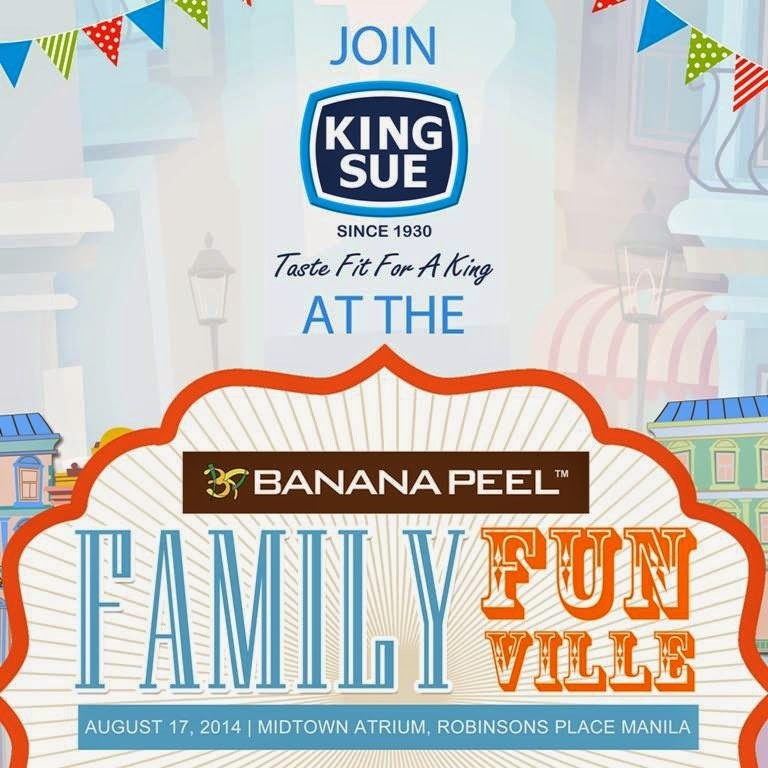 Munch on King Sue products! And have your nails glammed up by Lulu Nails and Dry Bar! Exciting times, right? Will I see you at any of the events? Please say hi! And enjoy the weekend ahead! Eh bakit ngayon ko lang nabasa ito??? Thank you Cai!! MWAAAAAAH!